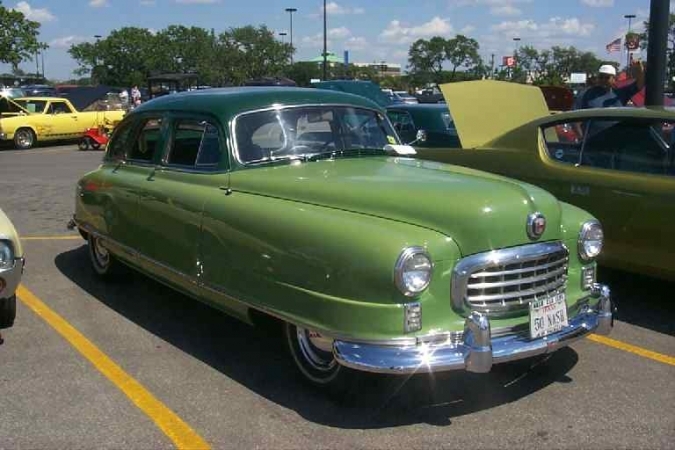 My first car was a 1949 Plymouth coup. Wish I still had it. My dad had a 1949 model essentially the same as the 1950 shown. One of the features that the Nash line was noted for was the fully reclining front seat which made the car a full size bed. I can remember going to the drive-in movies where, mom and dad would sit close together on the driver's side of the seat and drop the passenger side down into the bed. My sister would sleep there and I would sleep across the back seat. I liked Nashes and one of my most favorite car somgs was named after one...BEEP, BEEP, need I say more?